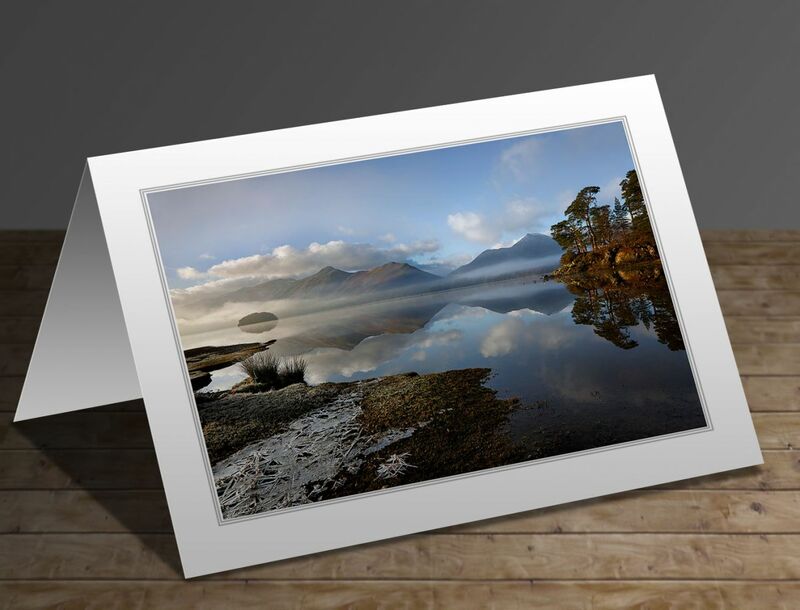 The write-up on the reverse of the card will be 'I have seen some beautiful scenes in the English Lake District but this view over Derwentwater comes close to the top. The mist was dancing over the lake and Catbells for about an hour with the sun lighting up Friars Crag on the right. It was a real privilege to be there and the memory will stay with me for ever'.